I know I've said stuff like not letting your kids watch or looks at some stuff I post on this blog but if you ever wanted to listen to what I write here then let me tell you right now, DON'T LET KIDS WATCH THIS! Yes, it's all bold letters in case you purposely skip through all the text and just hit the play button on the video embedded after the break. 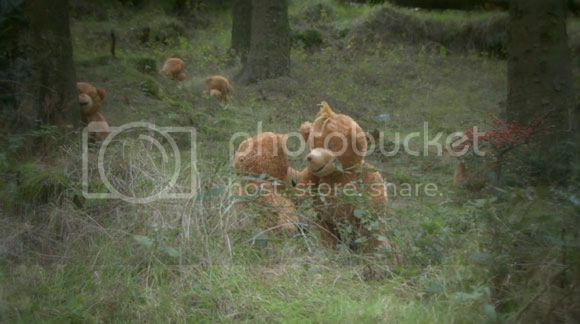 "Tufty" is a short film about teddy bears and I know that sounds cute and all but this takes on the darker side of things. It's kind of a sick way to show you where Teddy Bears come from. So if you've got all the kids out or in another room go ahead and watch this all by yourself.